We’ve been nominated for 2 awards at this years Into Film Awards for ‘The Lost Roar’ and ‘Lost Stations’ short films. 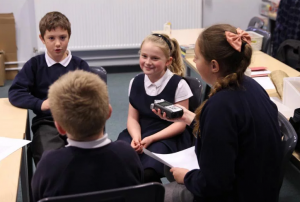 The Into Film Awards are taking place this year on the 14th March where they set out to find the best young filmmakers, reviewers, film clubs and teachers of the past twelve months. The exciting ceremony will be held 298miles away at the famous ODEON Cinema Leicester Square in London, where many famous movie-makers and celebs have proudly stepped onto the red carpet. The films were produced by two different groups of youngsters we worked with in 2016. We’re incredibly proud of the young people involved in all our projects and happy to see them get recognised for all their hard work. ‘The Lost Roar’ was produced in August 2016, during our Signal Starters school holiday workshops for 8-11s. 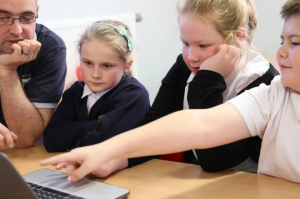 ‘Lost Stations’ was produced under our Heritage Lottery Fund project, which brought together young people from Barrow Island school with the older generation from the town to make a short animation that explored the wonderful heritage of Barrow’s industrial train-line. 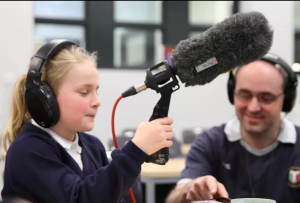 Following tuition from the Signal Film and Media team, as well as animator Sheryl Jenkins, the class picked up audio recording skills as well as how to animate. The youngsters from Barrow Island school made sure memories of their town weren’t forgotten. We’re really hoping to raise some money to get participants to the event, so watch this space!